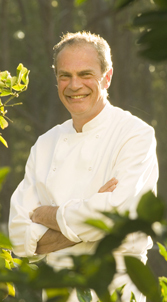 David Rowles who has been a restauranteur and chef in north London for more than twenty years. He started as a chef for Richard Branson at the manor in Oxford and has been the owner and chef of a number of restaurants in London including award winners 'Bar Ganza' and 'The Crown and Goose' that continue to flourish in Camden Town. as well as those that enjoy food and wish to improve their skills and have fun at the same time. It is not just children that will book for a birthday party, many adults celebrate or comisserate together for an evening of learning to cook exciting dishes, drink a couple of glasses and enjoy the meal that they have created. The cuisine cooked could be asian or european so all tastes can be accommodated for. Click on the links above for the various services on offer.